From Lawton or Baclaran, proceed to the Cavite city bay of the new Integrated Provincial Bus Terminal at Uniwide Coastal Mall at Paranaque city. Take a bus (St. Anthony of Padua or Saulog Transit) going to Cavite city via Cavitex Expressway. Drop off at Mc Donald's - Cavite city. From there take a jeepney going to San Antonio, PN or Sangley. Fare is P9.00 to San Roque church. 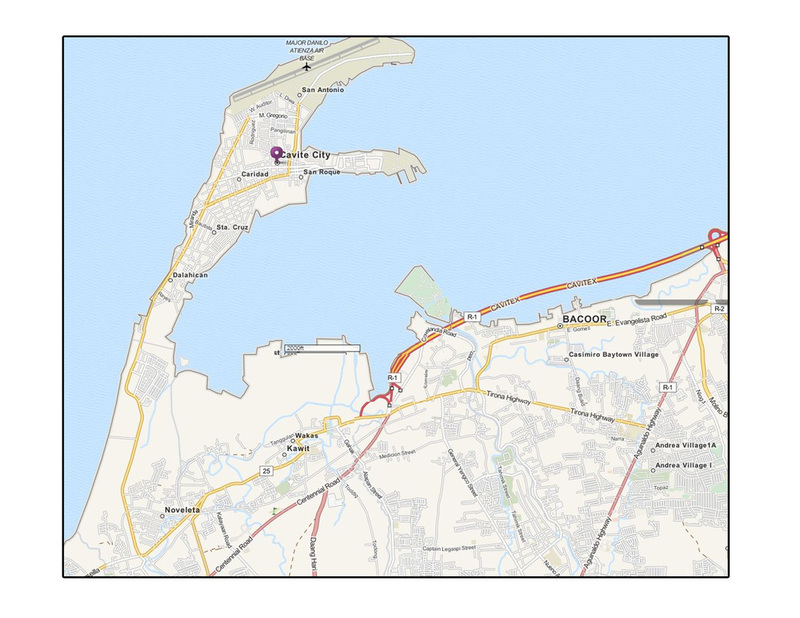 Take Roxas Boulevard, Macapagal Boulevard/Baclaran, straight ahead to Coastal road, Cavitex. Exit (turn Right) at Kawit, Cavite, Straight ahead via Tirona Hi-way, going to Noveleta, Cavite. Turn Right going to Cavite city. Turn Right after Mc Donald's Cavite city and straight ahead to San Roque church.